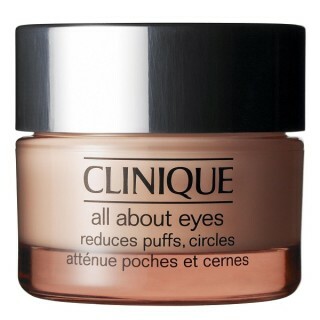 While supplies last, you can pick up a free two week supply of Clinique’s All About Eyes or All About Eyes Rich eye cream at your nearest Macy’s Clinique counter. These eye creams are specially formulated to help keep your skin ultra hydrated and to combat the signs of aging. One is lighter weight and the other is super rich. You can choose which one you’d like based on your skin’s needs. They are offering free consultations at Macy’s Clinique counters and as part of your consult, you can get this free deluxe sample if you print out this coupon and bring it in with you. One sample per customer. Offer is good while supplies last. Expired: Enter Our Happy New Year Sephora ‘Color My Life’ Makeup Palette Giveaway! A $173 Value! coupon comes out very small please help! Oh shoot! Do you know which browser and/or device you were using when you pulled it up? The coupon has been added as an image by Macy’s to that URL, and it does adjust in size if you make the window bigger or smaller. If you’re having issues, you may want to try using Google Chrome from a regular desktop or laptop computer, since the coupon is large enough that way.